Fur, feathers, and fins - when did they all begin? Were animals designed by a genius Creator, or did they evolve by random chance? 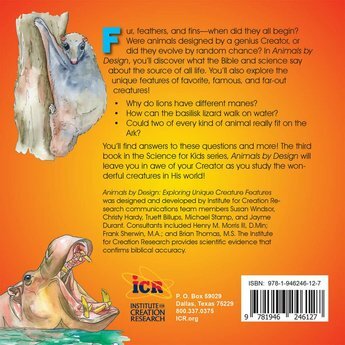 You'll discover the truth in Animals by Design! You'll find answers to these questions and more! 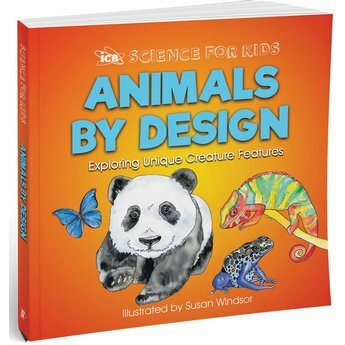 The third book in the Science for Kids series, Animals by Design will leave you in awe of your creator as you study the wonderful creatures in His world! 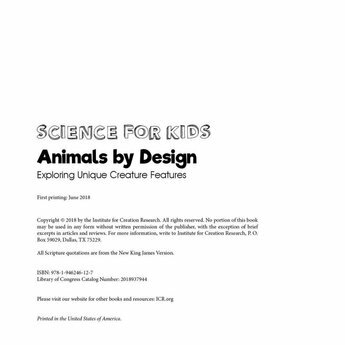 If you prefer, this resource, Animals by Design, is also available in digital form as an eBook and can be downloaded now. 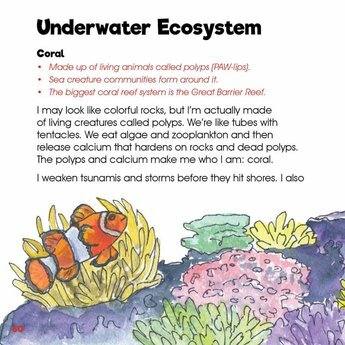 There are so many unique animals in here that my older kids love reading about! There are also bullet points on each page that we read to our toddler instead of the full text. 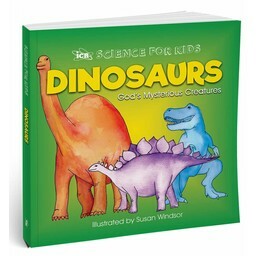 We are both Christians and engineers, so it is important to us that our kids understand that creation is supported by science. We have found this series of books very helpful in accomplishing that. 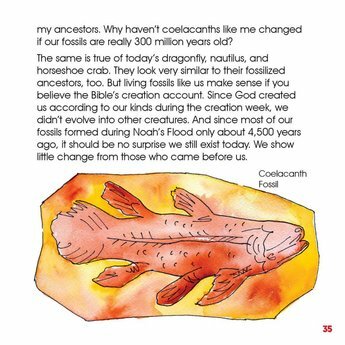 Highlights God's creation with beautiful illustrations and fun facts. Enjoyable for children and parents alike. Made of quality material. I bought this for my children and me but have decided I may need a few more copies for nieces and nephews at Christmas time! 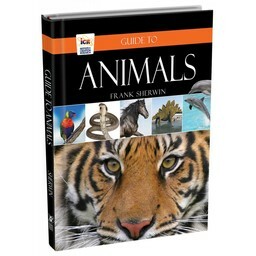 This easy to read book for children (and adults) has wonderful illustrations and interesting facts about animals. The illustrations are colorful and attention grabber. The three bullet points at the beginning of each topic capsulize and provide a preview of these interesting facts. Most topics contain, "Did you know?" at the bottom of the page to enlighten the mind. There is a Glossary at the back to define unfamiliar words and an Index to quickly locate a page about an animal. 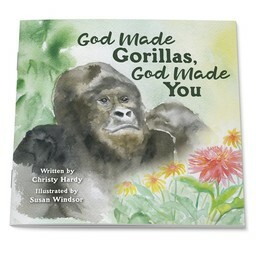 The book upholds that God created and designed these animals, not a result of evolution. 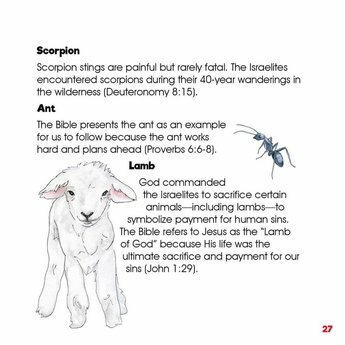 Animals by Design highlights what the Bible and science say about each unique animal. 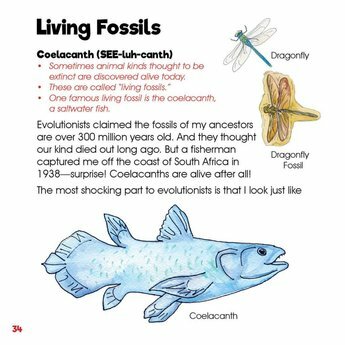 This resource will balance the collection of books, which support evolution of animal species. Disclaimer: I received a free digital copy of the book from ICR as part of their launch team. This rating and review is my personal, honest evaluation of the resource. My family is enjoying learning new facts about animals in our world. As a science teacher, I am loving the rich details and unique characteristics of some unfamiliar animals. 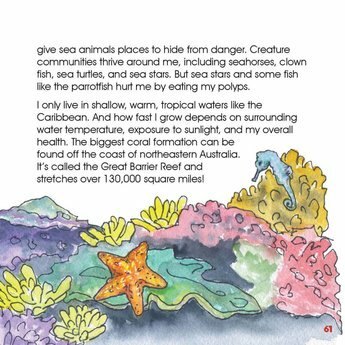 As a mom, I love how my children are drawn in by the colorful illustrations and diversity of the animals explored. This is a great non-fiction resource where each page stands on its own, so you can read about a few animals and then come back for more. 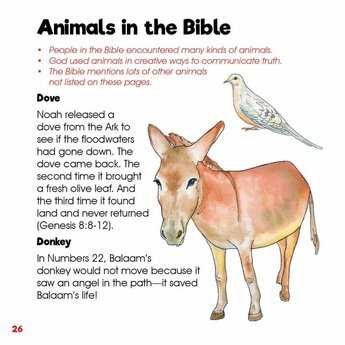 At the same time, there is a definite thread that runs throughout the text to help readers see how each animal is specially created by design. Complex concepts related to origins are addressed in the text and supported with a glossary. Disclaimer: I received a free digital copy of the book from ICR as part of their book launch team. This rating and review is my personal, honest evaluation of the resource.